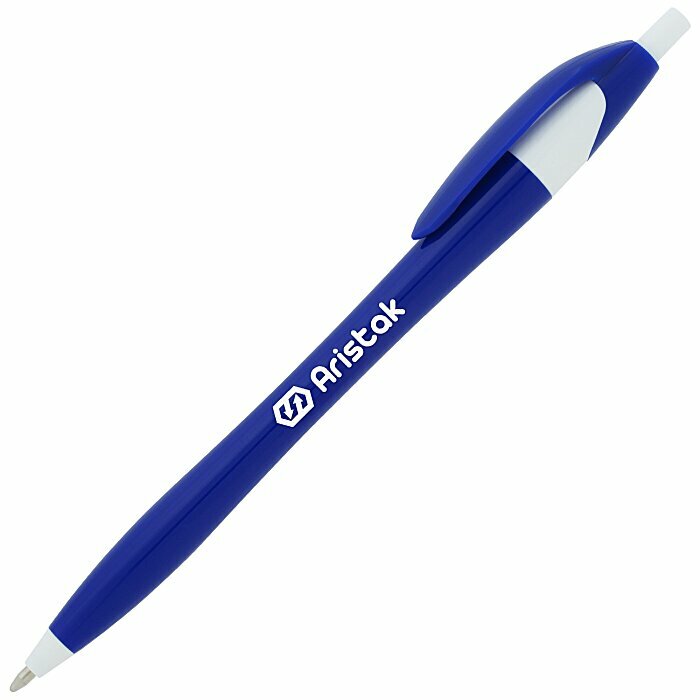 Throw something new into your marketing mix with this imprinted pen! The popularity of this promotional pen is undeniable--giving your logo a huge advantage! This curvy plastic ballpoint features a gently tapered shape for a more comfortable hold. The shapely barrel is complemented by unique contrasting trim at both ends. Several bold color combinations to choose from, including a palette of summery hues! Available with smooth-writing medium-point Blue or Black ink.